One of the most moneymaking business in current times is the food delivery business. You can’t go wrong with food business – it is a billion dollars plus business. This business model is already super successful in developed countries with Thousands of businesses already earning in millions. All food houses, restaurants, fast-food chains, Barbecues and Fine dining make a good chunk of their profits with home-deliveries as in-house seating has limited capacity and increasing that is much expensive due to the high cost of real estates and infrasturcture. Many of the food houses have organized their own delivery networks and infrastructure, but this is only a small percentage as most businesses focus on their in-house capability and organizing deliveries is a different line of business altogether and needs a lot of time, investment and resources. Along with these, there is the major chunk of restaurants which do not have transportation capability at all. 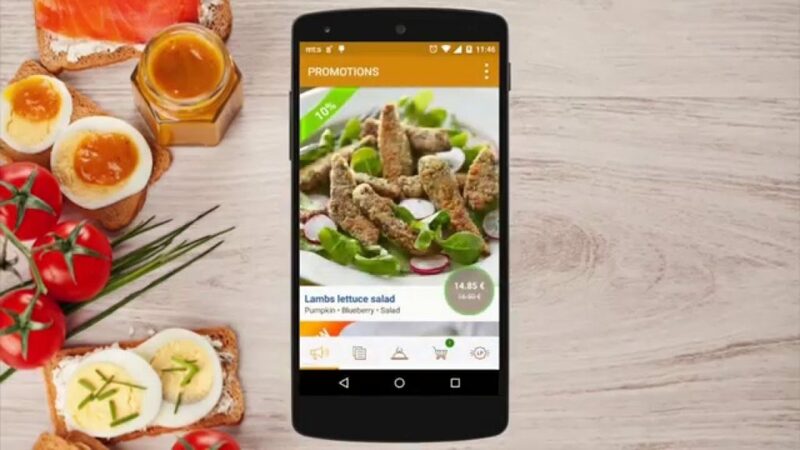 Commission based food delivery businesses have become a god sent gift for these businesses not only facilitating deliveries with their organized delivery teams but also generate additional business through their online channels like a website, mobile apps and phone bookings. The 1st Unique feature is that though eDeliveryApp is a readymade software system you can customize it completely to personalize and match for your business requirement it is not just white labeling the system but your system can be as good as custom developed the system with unique design that your wish and ABSOLUTELY ANY FEATURE CAN BE ADDED to the system. The 2nd Unique feature of “eDeliveryApp” is that you can buy the system along with code outright and host on your own server or you can use our SAAS based monthly rental system if you are low on the budget – we allow, first to try out the system. There are other vendors who also provide SAAS based monthly rentals based systems but Advantage for you as an entrepreneur and buyer with eDeliveryApp is that anytime down the line you can simply buy out your own system that you are using for monthly rental and move it to your own server. This is very profitable as it allows you to try out the system and your business as a whole and then invest more without losing any of the business assets that you already have built during the initial months like your business Google ranking etc. There is no vendor in a market who offers this business model. And yes our monthly hosted rental plan is not commission or transaction based. The cost is a flat monthly charge. Customer Facing Website – User can browse the website and can do GPS based search for business around them. There are multiple search options like by post-code, cuisine, area/address etc. or simply find businesses closest to them. After Search user is able to go to the business/restaurant page and view their menu. The restaurant page is personalized for each business and customers will see restaurant banner or logo and business details and branding. The menu is flexible and you can add different types of side dishes or combinations like for pizzas etc. Any type of customization can be added to the menu. A user can then add their favorite food items to cart and place an order. Multiple payment gateway integrations are available. After that user is also able to see the status of their order in real time. A user can create an account and save address and also view previous orders and re-order the same order. For updating address also user can simply use geolocation to capture their current address or drag the marker on the map to show their address/location. Customer facing Android and iOs Apps – These are the customer-facing ordering apps. The feature list is nearly same as the customer-facing website with the different layout suitable for mobile phones. Restaurant Back-end Admin panel – This is admin panel for each restaurant owner from where they manage their orders, update menu, manage their restaurant details etc. Super-administrators can also disable this feature to manage all-restaurants themselves. 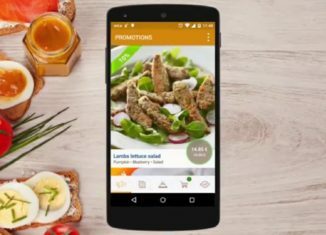 Restaurant order management android and ios apps – Best thing is Restaurant or business owners can install these apps on their phones and manage all the order in real-time from their mobile phones. Driver and Delivery Management Back office – At the back-end, so you can manage your driver teams and deliveries. Best feature is you can view all your drivers on the map in real-time. You can allocate tasks to drivers by manually or automated as per your businesses individual logic and requirement. Driver and Delivery Android/iOs Apps – These are Android and iOs Apps for the driver to view the deliveries that get assigned to them. The driver can see optimized route maps to the delivery location in the app and can even take the best thing is you can take the signature of a customer in the app as an acknowledgment. Super-Admin – Super Admin panel is the website owner panel. From Super Admin pane we can manage the entire system. This is a completely self-sufficient system in itself and with the customization option and different models for ownership the most flexible system. eDeliveryApp App also has the separate system with different features for single restaurants and restaurants with the multi-location requirement. You can contact for more information at https://edeliveryapp.com.